Those looking for a change log / my TODO list for 3.0.0 please see here. All of these images are built directly on top of the latest Ubuntu 14.04 packages. The 32bit and 64bit images utilize the 3.13 Linux kernel, while the Chromebook image utilizes a 3.11 kernel due to hardware compatibility issues. The Chromebook image is tested/designed to work with the Acer C720 and HP 14" Chromebooks. It could very well work with other Chromebooks, but they have not been tested. For more information on installing Bodhi on your Chromebook follow the directions here. While I a linked a change log above, a picture is worth a thousand words as they say! Below is pictured the new Radiance Enlightenment theme that is nearing completion (Thanks Duma!) which is now the default look for Bodhi 3.0.0. Also shown in the screenshot is ePad text editor (replaces Leafpad) and eepDater system updater. As always please, please, please do not post issues in a comment on this post. Instead open a thread in the 3.0.0 testing section of our user forums. Also keep in mind this is a testing release not intended for production machines. I recently picked up a Chromecast and one of the things I was looking for was to stream Twitch.tv from my laptop to my TV using the device. 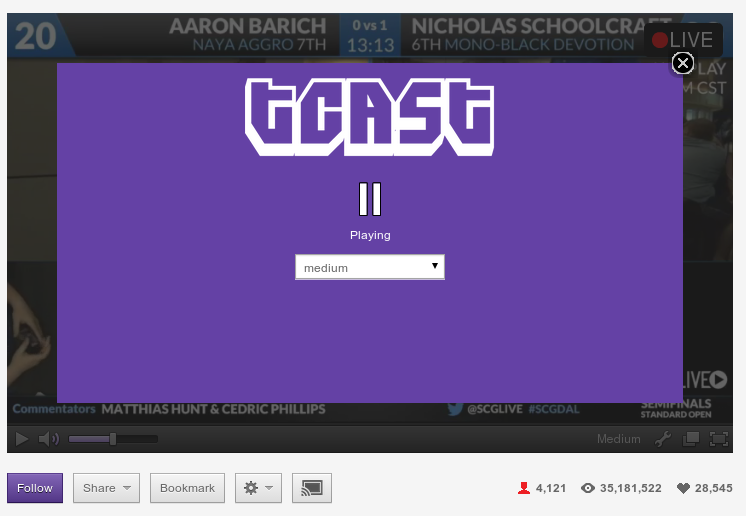 Thankfully setting this setup is fairly simple thanks to the aide of the TCast Chrome plugin. 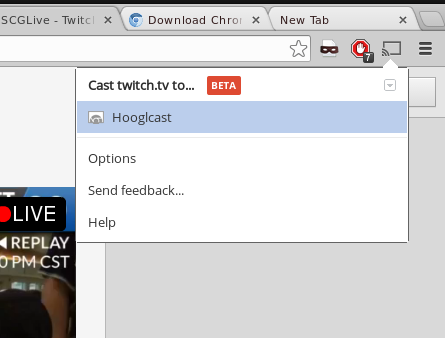 Streaming to the Chromecast from your PC currently requires a Chrome based browser. Install either Google Chrome or Chromium. 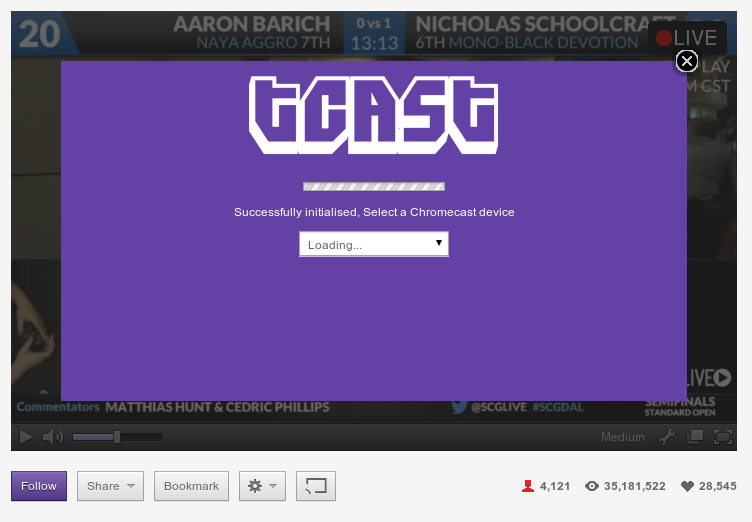 And you are all set - enjoy streaming twitch on your Chromecast device! Have any questions or issues please feel free to leave a comment below and I'll do my best to help. I've only tested the above instructions on my Linux based PC, but these extensions should work on any platform that supports Chrome/Chromium.